Episode Guide for Crash Course History of Science YouTube Series! 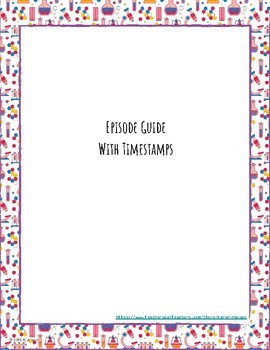 Each guide comes with two versions (with and without timestamps), and a complete answer key. 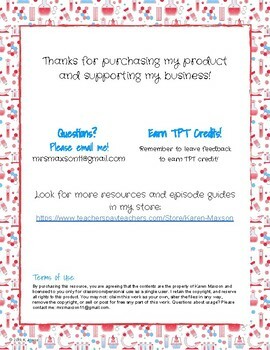 This product easy to use, no-prep product is a perfect last minute lesson plan, review activity, extra "filler" to keep on hand, substitute lesson plan, or homework assignment. -Pacing within the episode is about 1 question per minute. -Sometimes my students struggle to catch all of the questions as these videos present a great deal of information very quickly. This may not be as much of an issue with older students. To combat this issue though consider …..
-Cut down the questions. Have them answer only odds, only evens, or have them skip specific ones that don’t align with your learning goals for the day. -Watch the video twice. This allows students to catch more of the information and fill in any questions that they missed. What is “Crash Course History of Science”? 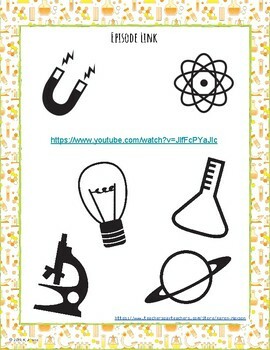 “Crash course History of Science” is a YouTube series that is fast paced and packed with information and facts. It is a fantastic introduction to a topic, a great review, or a quick overview if you are running short on time. Though the episodes are dense with facts, Green explains the history in a way that is very accessible to all learners, while still succeeding in making it fun, light-hearted, and relevant for students. A link to the episodes is provided in this product. -Preview of a new unit. This product is print and go, making it easy to use even at the last minute. Thank you for considering my product! My email is included within the product, if you have any questions or issues while trying to use it. 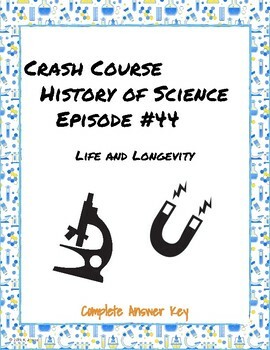 Looking for more Crash Course History of Science? Find guides for other individual episodes here. See my store for more products for Science, History, and Language Arts!